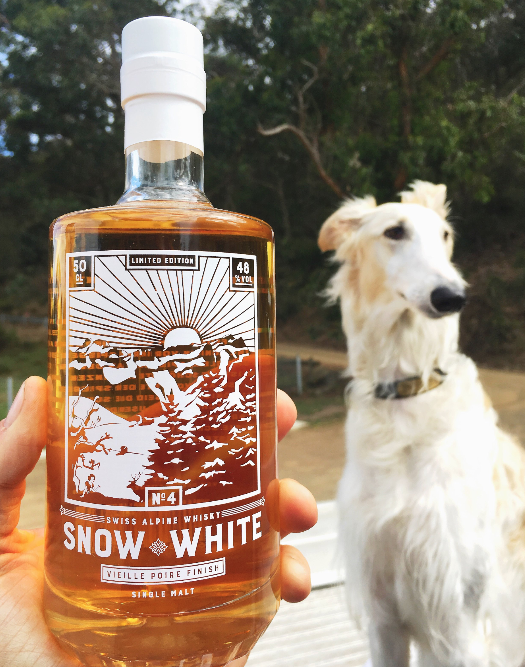 One of the finest, rarest whiskies that we've ever tasted, this is our first presentation of a Snow White Edition. A bottling of only 2000 x 500ml bottles, Säntis Malt’s Snow White 4 is a singular production of just 5 casks of Swiss Single Malt Whisky aged in beer casks over 60yo, and finished in poire williams brandy casks. Having been extremely impressed by the previous plum brandy cask finish in the Snow White No.3, we were delighted to bring in a tiny allocation in 2017. This gal is one-of-a-kind and as of December 2017 we are already down to our final bottle in the store. One more lucky (genius) soul will soon discover that it is rich and supple and with aromas not ‘like’ but simply ‘of’ pear and malt..it is very hard to put the bottle down. Get in quick! If you missed out get to Hobart's Institut Polaire, Sydney's PS40 or Where's Nick, or the absolutely wonderful Murwillumbah staple Keith for a rarely delightful drop.